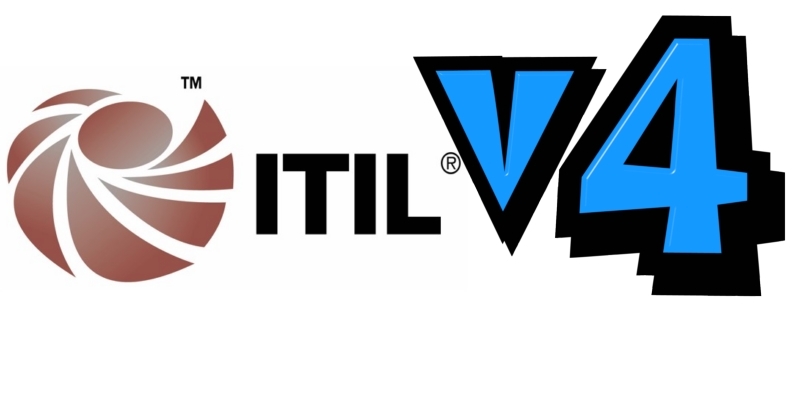 The ITIL V4 certification scheme has changed from the ITIL V3 structure. As expected, the number of certifications one can take up has gone up. 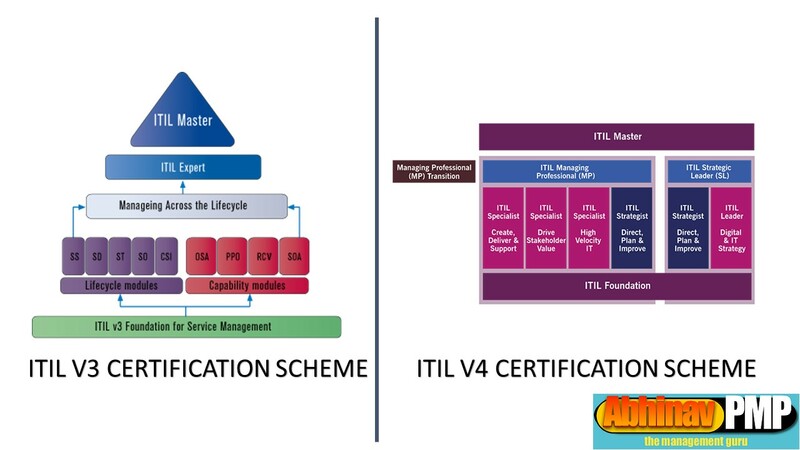 The current ITIL V4 certification scheme released by Axelos looks as below. The ITIL V4 certification scheme looks similar to the ITIL V3 certification scheme. 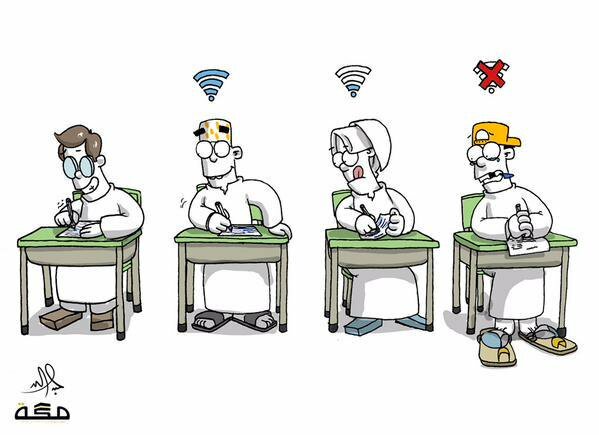 The foundation layer and the top most layer (Master) are the same, however, the intermediate certifications have changed somewhat. The differences are highlighted in the image below. 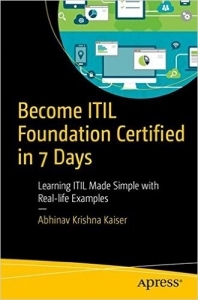 The new ITIL Foundation certification tests the IT professional on the concepts of ITIL V4 publications. This is a basic certification which will be launched in March 2019. The bad news is that ITIL V3 Foundation certification holders cannot transition to ITIL V4 Foundation as there is a lot of churn in the ITIL V4 content. In ITIL V3 intermediate, there were two paths to getting the individual certifications and the much coveted ITIL Expert certification by completing Managing Across the Lifecycle (MALC). In ITIL V4 however, the ITIL Expert certification has been somewhat diluted by introducing two certifications (ITIL Managing Professional and ITIL Strategic Leader) in the place of one. The ITIL Managing Professional certification provides the IT professional the practical and technical knowledge about how to run successful IT projects, teams and workflows. At this point in time, the exact nature of the ITIL Specialist and ITIL Strategist modules is not known. The names too don’t offer a lot of clues. The ITIL Strategic Leader certification demonstrates that the professional has a clear understanding of how IT influences and directs business strategy. The Direct, Plan and Improve module under ITIL Strategist stream is common to both ITIL Managing Professional and ITIL Strategic Leader certifications. Due to the nature of credits, things become a little complicated in the transition works from V3 to V4. The credits or the certifications do not get transitioned over to ITIL V4. 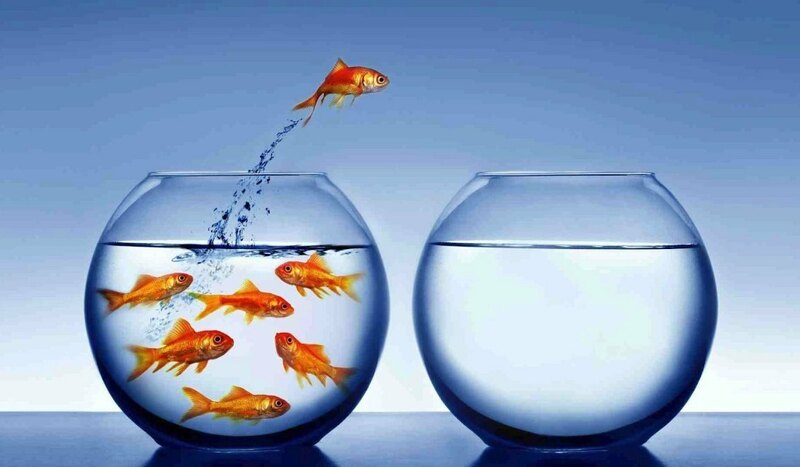 You will have to start afresh from ITIL Foundation moving up the chain. If you have 6 or more credits from ITIL V3, then you have the option of writing more ITIL V3 certifications, and aiming to get an overall 17 credits. When you have 17 credits in ITIL V3, you become eligible to take up the Managing Professional Transition certification exam. Through this method, you can cheat your way to becoming an ITIL Expert equivalent by not writing the MALC certification exam. For those of whose who have the ITIL V3 Expert certification, the path is straightforward. We are eligible to take up the Managing Professional Transition certification whenever it is made available. 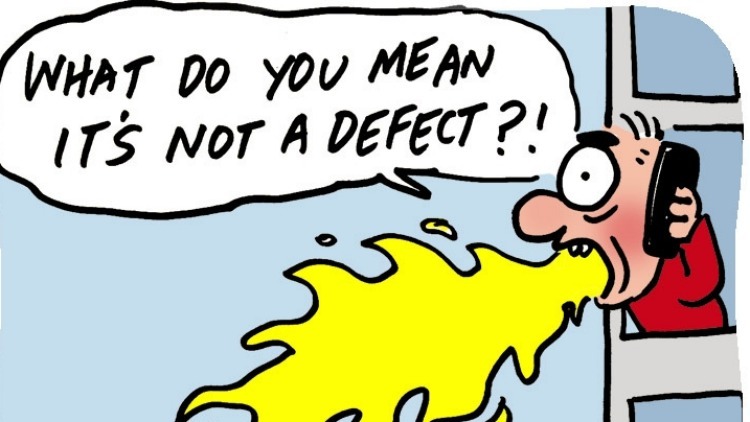 My guess is that it will be launched in the second half of 2019. After successfully completing the Managing Professional certification, if we need to become ITIL Strategic Leader, we need to attempt the ITIL Leader Digital & Strategy module. 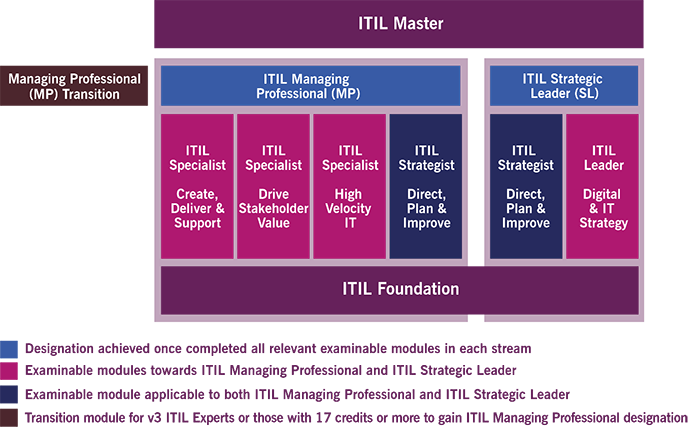 To become an ITIL V4 Master, both the Managing Professional and Strategic Leader certifications are necessary. Apart from this, there is no further information available on the Master certification or the transition path for ITIL V3 Masters. 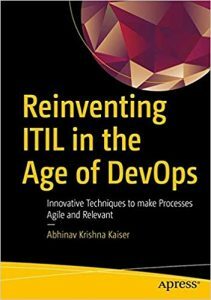 Hi Abinhav, I successfully passed my ITIL v3 exam in ’17 with an 80% passing grade. 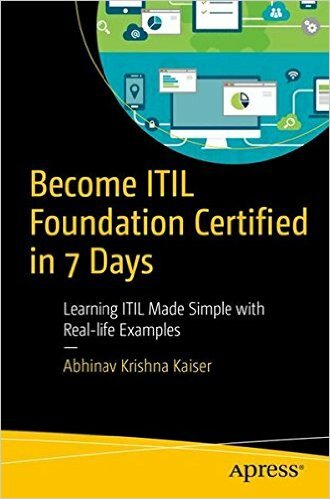 I used your book “Become ITIL Foundation Certified in 7 Days” and I passed the exam with one swing. Thanks. I look forward to any material that you will make available to prep for the ITIL V4 Foundations exam.